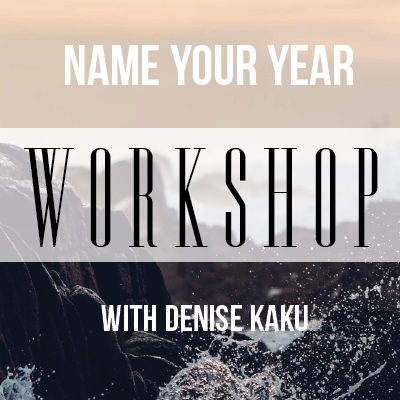 Carmel, CA – Denise Kaku, Certified Somatic Coach will lead a Name Your Year Workshop on Saturday, Feb 16, 2019, from 1:00 -4:00 pm at 26039 Mesa Dr, Carmel, 93923. This workshop is designed to generate a theme for 2019 through guided visualization and creating a collage. You will walk away with a completed theme map and a name for your year. Cost is $49 which includes all materials and refreshments. For registration RSVP 831-905-6359 or Denise@Kakuconsulting.com. About Denise Kaku: Denise has consulted with government, private industry and non-profit organizations over the past 20 years and is a graduate of Leadership Monterey Peninsula. She is Past President of the Professional Women’s Network and was a mentor for Girls Inc at Seaside High School for ten years. She currently volunteers with the Alliance on Aging.